It’s been quite a while since the last Dragon Fire went out. Two months, in fact. We’ve built up a fair backlog of updates in that time. Hopefully we can get enough of them in here. Let’s find out! Two piece, Slovak, death metal project, Ceremony Of Silence unleash their debut record, Oútis, April 5th, via Willowtip Records. With utterly guttural vocals, and blackened around the edges, it concerns itself with both the inner and outer spiritual journey of man. US trad metallers, Mega Colossus, recently released their brand new V EP, and we have to say, it is rather enjoyable! If you need a light-hearted, but seriously delivered reminder of why you got into heavy music to begin with, here it is! And keeping things upbeat, there’s also this grey-and-neon number fresh out of the city from the one and only Skindred. 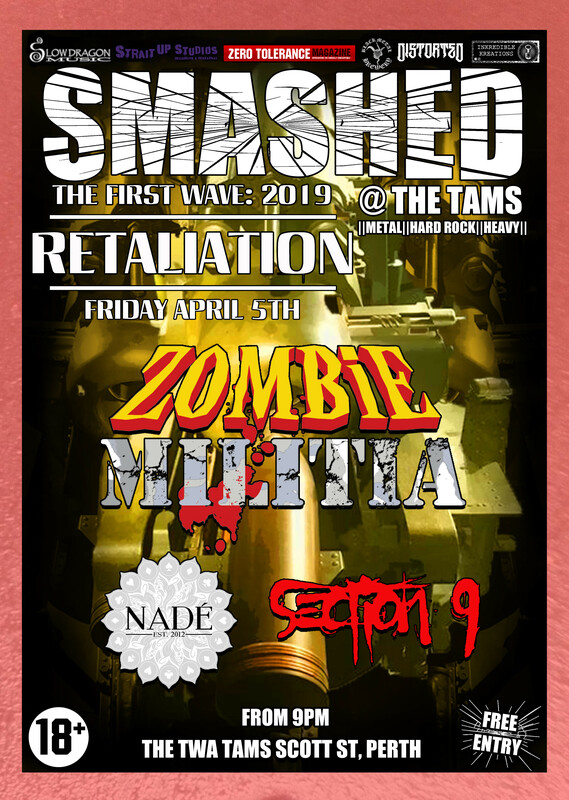 The single from Big Tings comes as promo ahead of a European tour supporting Disturbed, which kicks off mid April. 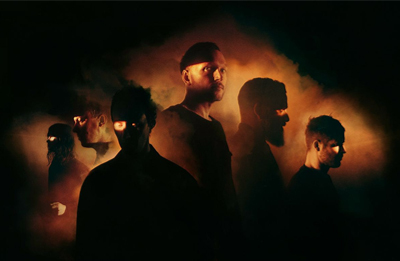 Swiss trance metal/melodic death trio, Rage Of Light, have not only just released their debut album Imploder, but also a video for the track, Battlefront. 1960s styled, blacklight psychadeliacs, Sabbath Assembly have a new video out: Ascend And Descend. 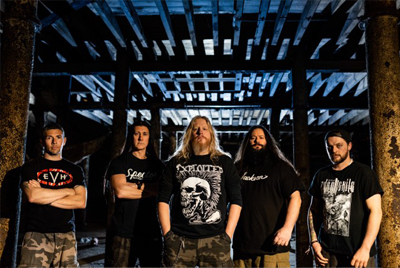 It comes from their upcoming album, A Letter Of Red, due out April 26th, on Svart Records. It’s been a good period for live announcements for Northamptonshire lunatics, Krysthla. 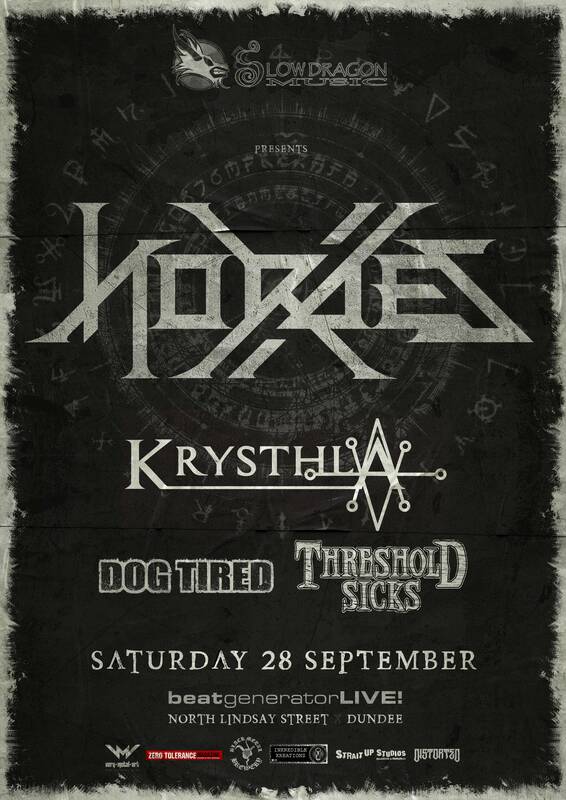 Not only was it revealed that they will be headlining our very own Hordes X this September, but they are also set to open the Ronnie James Dio stage on the Saturday of 2019’s Bloodstock Open Air festival! A collection of early demos from UK gothic doom legends, Paradise Lost, is to be issued by Alma Mater Records, on official Record Store Day, April 13th. 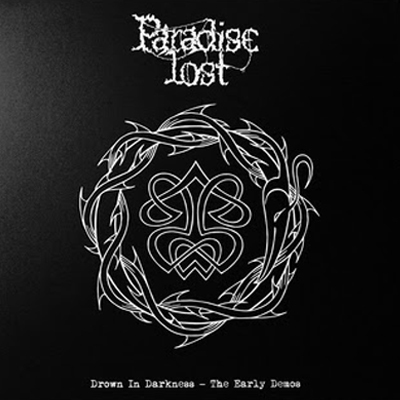 Drown In Darkness – The Early Demos comprises of previously unpublished demos from the Paradise Lost and Frozen Illusion eras, as well as live recordings from Liverpool 1989. 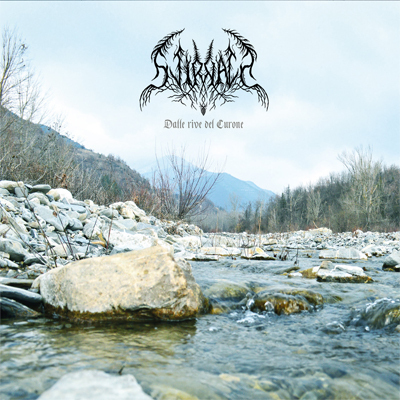 Rural Italian black metallers, Svirnath, released their second album on February 1st, via Naturmacht Productions. Dalle Rive Del Curone is dedicated to the area where the music was created. 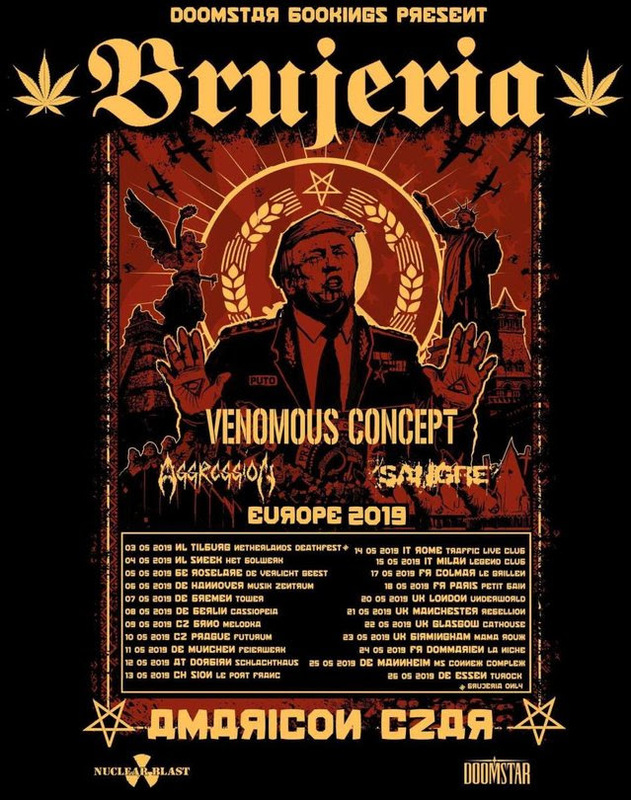 Brujeria are on their way to Europe this May, with a hefty list of support acts in the form of Venomous Concept, Aggression, and Sangre. Dates also span a UK run, hitting London, Manchester, Glasgow, and Birmingham. Ever so slightly maniacal Tempest Rising have a new video out for Breathe, taken from sophomore album, Alter Ego. The Australians are just wrapping up a European tour, and we reckon it won’t be the last we hear from them. Filthy noise-rockers, Canada’s Tunic, shared a new single from their recent Complexion album (Self Sabotage Records) last month. Blessed is a rapid, acidic blast of radio-unfriendliness, sure to tickle grunge miners. Swedish legends, Entombed, are bringing out a full, live rendition of their album, Clandestine. With contribution from Nicke Anderson, Uffe Cederlund, and Alex Hellid, the May 17th release marks the 25th anniversary of the original recording, and seems to feature additional track, Left Hand Path. This is a must hear for all old school death metal fans. Pre-orders are up here. Posted in Latest News and tagged A Letter Of Red, Alter Ego, Ascend And Descend, Battlefront, Big Tings, Black Metal, Blessed, Bloodstock, Breathe, Ceremony Of Silence, Clandestine, Complexion, Dalle Rive Del Curone, Death And Consolation, Death Metal, Dragon Fire, Drown In Darkness, Drown In Darkness The Early Demos, Entombed, Frozen Illusion, Hard Rock, Hordes X, Imploder, Krysthla, Loud And Clear, Mega Colossus, Melodic Death Metal, Metal, Metal News, Music News, Naturmacht Productions, Noise Rock, Oútis, Paradise Lost, Rage OF Light, Rock News, Sabbath Assembly, Self Sabotage Records, Skindred, Slow Dragon Music, Svirnath, Tech Metal, Tempest Rising, The Well, Trance Metal, Tunic, V, Willowtip Records.